WINNIPEG, Manitoba (Reuters) - China's Sinopec Corp has joined a group planning to build an oil refinery in Alberta, an enterprise that would strengthen demand for the Canadian province's heavily discounted crude. State-owned Sinopec, formally known as China Petroleum & Chemical Corp <600028.SS>, along with an Alberta indigenous group, China State Construction Engineering Corp <601668.SS> and Alberta management company Teedrum, plan to build a refinery to process 167,000 barrels per day of crude into gasoline and other products, the project's consulting firm Stantec Inc said in a statement on Thursday. "It helps create value for the bitumen," Horn said, referring to the tarry, semi-solid form of Alberta's heavy crude. "Right now we ship most of that (crude) out of the province. We should do a lot more to maximize the value of that asset." Most of Canada's crude is produced in landlocked Alberta, where pipeline capacity has not expanded as rapidly as production. Resulting bottlenecks have hindered transportation to U.S. refineries, steepening an already deep price discount for the province's crude, which grew to a multi-year high this week. Sinopec's interest is encouraging news for a Canadian sector that has seen foreign oil majors retreat over concerns about high production costs and the oil sands' environmental toll. China's involvement would complement its existing Alberta investments, Horn said. State-owned CNOOC Ltd <0883.HK> bought energy producer Nexen in 2013. Alberta's previous government declined to support the aboriginal-led refinery proposal in 2012, after deciding the project did not make economic sense. This time, the project involves China and is not soliciting government help, Horn said. A spokesman for Alberta Energy Minister Margaret McCuaig-Boyd said on Friday that building a refinery is "ambitious", and positive for the economy if the project can competitively move refined products offshore. 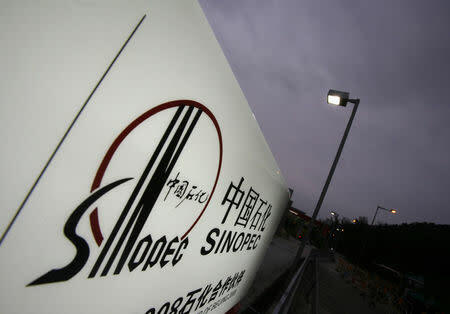 Sinopec could not be reached.